If you’ve ever experienced joint pain, chances are you’ve opened your medicine cabinet and reached for an Aspirin, Ibuprofen, Advil or some sort of painkiller. Of course, in really small amounts, this isn’t a huge deal. But for long term or frequent use, you do want to be careful because they have a whole host of side effects, particularly that they can really take a toll on your digestive and liver health. So, today we’re chatting about natural remedies and lifestyle factors that, especially when addressed in conjunction with one another, are more effective at addressing the root cause of your joint pain and inflammation. Carrying excess weight can put a lot of additional stress on the joints, especially as you age. One of the first areas to focus on in the prevention and reduction of joint pain is getting to a healthy weight. We’ve got an entire section on the blog on weight-loss. The importance of regular movement in the prevention and treatment of joint degeneration and pain cannot be overstressed. 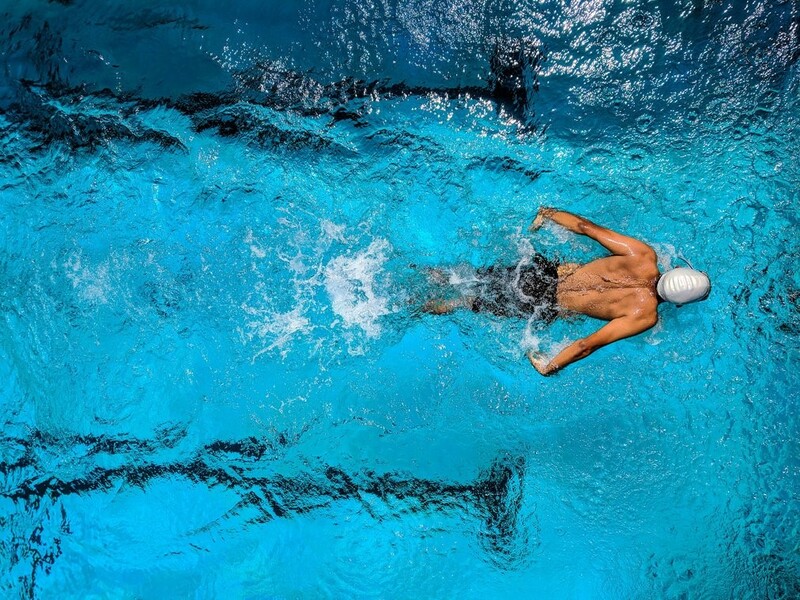 Low impact exercises like swimming, water aerobics, walking and elliptical training strengthen and stretch the affected joints and muscles to improve mobility, decrease pain and prevent injury. At the same time, resistance training increases bone density and joint lubrication. For additional support, using heat therapy prior to exercising may help reduce stiffness and increase circulation while cold treatments help reducing swelling and inflammation. What's your fave exercise? Share with us using the hashtag #moveinmay! There are pro-inflammatory foods as well as anti-inflammatory foods. Emphasizing an anti-inflammatory diet consisting of lots of fruits and vegetables, wild and/or organic fish, minimal sugar and processed foods is key. Reducing dairy consumption and switching to pasture-raised and organic meat products also reduces the intake of inflammatory Omega 6s in favour of anti-inflammatory Omega 3s. Stress releases chemicals that affect the immune system and can cause inflammation. Muscle tension due to stress also puts tension on the joints and tendons. It’s important to adopt the stress reduction techniques that work for you. More on that here. 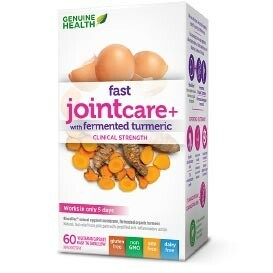 My favourite supplement for joint pain is Genuine Health joincare+ with fermented turmeric. It’s an all-in-one type supplement by Genuine Health that contains a combination of Biovaflex® natural eggshell membrane and fermented organic turmeric. Biovaflex® is unique to Genuine Health and contains all the essential nutrients for proper joint health and flexibility to support the cartilage matrix, tissue elasticity, tissue repair and to lower inflammation. Then, each capsule contains 500mg of fermented organic turmeric rhizome. Turmeric contains the active ingredient curcumin which is a natural anti-inflammatory who’s antioxidant and anti-inflammatory effects are intensified thanks to fermentation. The great thing about the Genuine Health joincare+ with fermented turmeric is that although it’s specially formulated to tackle arthritic-related causes of joint pain, it’s also research proven to benefit those with non-arthritic joint pain. In a one month study involving 60 participants averaging 40 years of age, with non-arthritic yet chronic joint pain, those in the FAST joint care+ group reported 4 times less joint pain post-exercise than the placebo group. A study at the Toronto fibromyalgia clinic also found participants showed significant results with regards to fibromyalgia symptoms. This post was written in partnership with Genuine Health, but all opinions are my own.